Last I wrote of Washington, it concerned the core focus of this blog - My thoughts and reviews of hotels, eateries and the environs of another great American city. In the interim, we made a long awaited trip to the Coast of Oregon. Feel free to peruse those earlier posts as you feel the need - Tripping The Light Fantastic, Blazing The Nomad Oregon Trail, DC & The Carlyle, DC-It Was Very Hot. Today's post is about the things we see in a city that has so many things to see. Like all great cities, especially those that serve as centers of state, Washington affords countless opportunities to learn about the men, women and institutions that have made America, up till now, the exceptional country that it is. 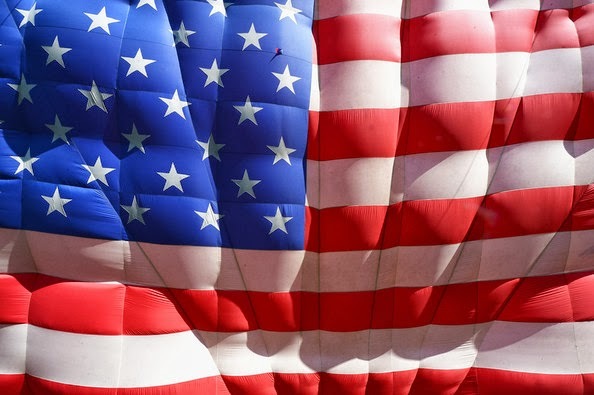 You cannot talk about Washington, DC and this great country in an apolitical vacuum. As a child of the fifties and sixties and throughout my life, I have seen the best and the worst of the political leadership this country has embraced and endured. The current crop of buffoons we have in Washington is testing our mettle as a people as never before. Which brings me to a salient point for any visit to Washington. Seeing the great monuments and edifices which embrace our history, I came to better understand that this country is great precisely because of the great politicians who rose above that lowly state of being politicians and became great leaders and protectors of the realm. 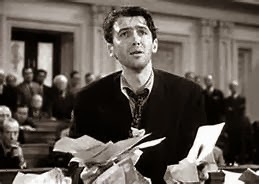 I am just naive, brainwashed or plain stubborn enough to believe that there are more Mr. Smiths who will go to Washington and bring back Morning in America again. This grand experiment, which was created by the greatest collection of political genius ever to assemble in one place, at any point of time in history may be down, but it is never out. The people will ultimately have enough of the status quo and "throw the bums out" until we get some new Jeffersons, Trumans and Reagans running the show again. 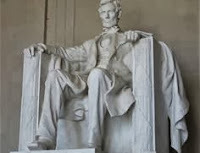 The other reason politics matters is something very profound one discovers as one traverses the National Mall, the Tomb of The Unknown or The Lincoln Memorial. This country, this grand experiment has no equal in human history and it transcends politics of all stripes, because its people ultimately determine its course and right the ship when things get stormy. Our visit to Washington showed once again, through the visual and emotional impact of monuments and celebrations in marble of our best and brightest, that we live in the greatest country on earth - period. 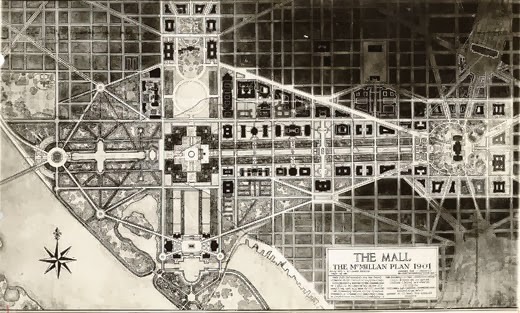 Pierre Charles L'Enfant, a French born architect, engineer and planner is largely responsible for the city plan of Washington, DC. Laid out on a north-south-east-west grid with diagonal avenues named after states created numerous opportunities for grand circles and squares where intersections of streets and avenues occurred. Now, some two hundred plus years later, Washington is a beautiful, pedestrian friendly city. The same cannot be said of many of its buildings, some appearing to be knockoffs of Albert Speer and the Third Reich. From an urban planning and architectural point of the view, Washington's public spaces tend to a scale of vastness and urban expansiveness. Unapparent in photographs and videos, the distances traversed down broad avenues and tree lined green swards between various monuments are vast and full of long vistas. So, be prepared for long walks. 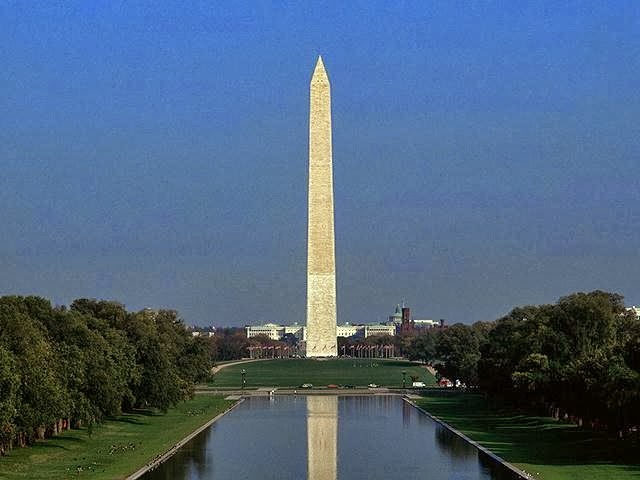 The Washington Monument is the tallest structure in Washington, DC. 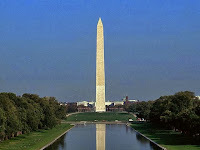 At 555 feet, the obelisk shaped stone monument, is visible from almost any vantage point in Central DC. It is also the world's tallest stone masonry structure. Unfortunately, due to earthquake damage, the monument is shrouded in scaffolding and protective covers for repairs. However, this great monument is, indeed, the centerpiece of the National Mall, anchored at one end by the Lincoln Memorial and the other The Capital. The Lincoln Memorial honors the man who, though an unlikely candidate, steered the Republic through its darkest hour. Once you see this tremendous work of honor in marble, you understand the need for a country to memorialize its heroes. Like so many monuments and buildings in Washington, the "grammar" or style of the building is borrowed from the ancient Greeks. In this case a Greek Doric Temple was the choice of architect Henry Bacon. As hard as Frank Lloyd Wright and many others tried to create a unique American architecture, the United States has never created its own architectural language - choosing instead, to borrow from ancient cultures for our most important public and many major private buildings. That being said, the Lincoln memorial is a must see for anyone who wants to understand the man that many designate as our greatest president. Arlington National Cemetery. As we left the main entry building to enter this most sacred of national treasures, I was not prepared for the vast evidence of sacrifice of the men and women of this country. 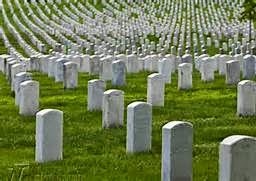 Upon seeing the infinite rows of headstones that stretch as far as the eye can see, the sheer scale of this place of intense reverence takes your breath away. I stood utterly immobile for several minutes trying to comprehend the scale of this place of beauty and honor. Then, as you walk amongst the tombstones and read the names, dates and battles , you begin to understand that this freedom that we hold so dear has come with a heavy price. You may argue about the efficacy or morality of war, but you cannot argue with the greatness of everyday Americans who gave the ultimate sacrifice to protect the freedoms that were written down and codified for history by Jefferson, Washington, Franklin et al in the greatest document ever written by man - The US Constitution. 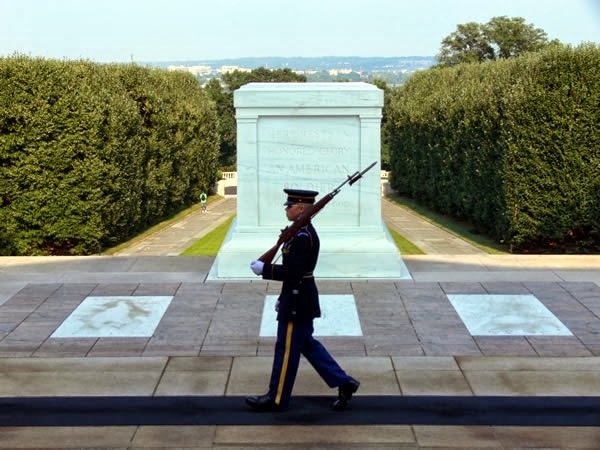 As you sit or stand and observe the "Walking of The Mat" by The Tomb Guard, again, a sense of pride and reverence are the emotions one feels about our country and those that protect it. The meticulous ceremony of 21 steps, turns and weapon changes is truly one of the most compelling scenes one will see in our nation's capital. 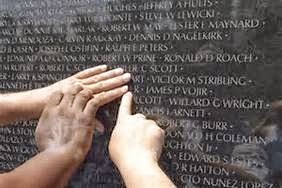 Vietnam Memorial. Embroiled in controversy since Maya Lyn, an undergraduate architecture student, won a competition with a design of a black cut stone, V-shaped "wound " in the earth to symbolize the profound loss of soldiers in one of America's most divisive conflicts, no visit to Washington can be considered complete without a visit to this masterpiece of minimalist design which honors those who gave all. As I watched scores of friends and loved ones place sheets of paper and scratch/trace over their inscribed lost family member or friend, no controversy seemed evident - only profound respect. It was a somber reminder that these are real people with real families who simply want to honor their fallen in their own way. Who knows and who cares? The point is - you can get one of the greatest collections of design oriented travel books for pennies on the dollar. The Hip Hotel Series by Herbert Ypma should be in every Nomad's travel library, architect or not. I have many volumes in this series and have stayed in several of the exquisite places reviewed and noted many others on my Nomad Places to Sleep Before I Die List. 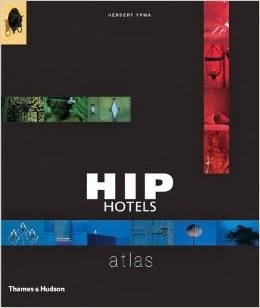 My copy of Hip Hotels Atlas which retailed for $50 US, cost a whopping 97 cents plus $3.99 postage. With this beautifully photographed collection of über cool hotels in your library, you will have a gorgeous coffee table book that will make you feel good and make you look good to your friends when you show them the next cool place on your itinerary. You get a beautiful and informative book about some of the most unusually designed hotels, B & B's, former estates, converted stone ruins and other off the beaten path places of interest to anyone who loathes big and grandiloquent. Even an ice hotel, complete with snow mobile, gloves, hat, sauna and breakfast, made the cut. For serious world travelers who refuse to settle, this beautifully photographed compilation takes you to Europe, Africa, Asia, Australia, North America and South America. 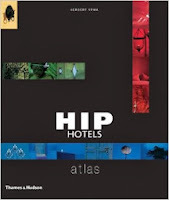 So don't delay - Go straight to Amazon.com and get your copy of HIP HOTELS ATLAS today. They still have copies at unheard of prices.